Published on June 14, 2010 in Bands/Artists, Downloads, Music, Out and About, Personal History, Retail, Upcoming Show and Vinyl. 0 Comments Tags: Dap-Kings, Daptone, download, II, III, Live Show, mp3, The Budos Band, Upcoming Show, Vinyl. Last week the mighty instrumental afro-funk band The Budos Band— which bills itself as the “Staten Island’s Undesputed Champions of Afro-Soul” announced the release and details of their new album The Budos Band III. To be released on August 10th on the formidable Daptone Records label the record is the band’s first release since 2009’s The Budos Band EP and the first full length since 2007’s The Budos Band II. Coincidentally, I was in Boston this week for work and managed to sneak in a run to Newbury Comics. I was hoping to pick up the new Suckers vinyl, but it has been delayed. Instead I ended up picking up a couple of records I’ve had on my Amazon Wish List for a while– The Budos Band and The Budos Band EP. 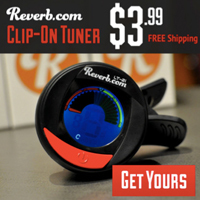 I still need The Budos Band II. I’ve been a fan of The Budos Band since I did a review of the Scion Daptone Records compilation. The Budos Band is a band with a distinctive sound– influenced by African– specifically Ethiopian– music coupled with organ and guitars lead melodically by a muscular horn section. The Budos Band shares guitarist Brenneck with the other signature Daptone house band– The Dap-Kings. Other Dap-Kings Neal Sugarman and Binky Griptite were on-board for the first Budos Band album. It’s clear that the cross-pollination has helped establish them. The first Budos Band Record featured a volcano in full eruption with the lava coming right for the viewer presumably representing “The Volcano Song.” The second Budos Band featured a scorpion ready to sting, representing the “Scorpion” album track. 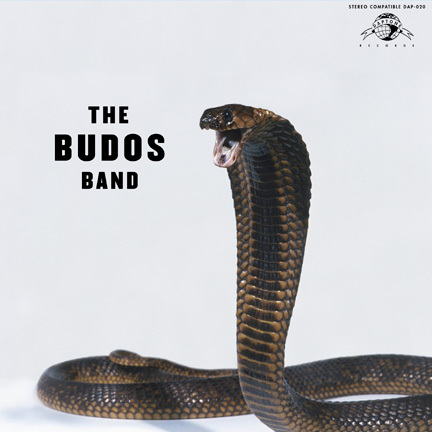 Continuing the “dangerous” cover art of the Budos Band records, III has a cobra on the cover– likely representing the “Black Venom” track– but I think may also be a sly reference to the expression “The Third Time is a Charm” where the charm would be for that cobra. “Heading into the studio for Budos III, I really thought we were going to make the first psychedelic, doom-rock record ever recorded at Daptone,” said front man and baritone saxophonist Jared Tankel, “but somehow it ended up sounding like a Budos record.” I’ve had the opportunity to listen to the album and the familiar formula of the Budos Band is continued but I do get the sense of some underlying darkness. I like the whole album– the songs on III fit comfortably next to the rest of their catalog in my opinion. Early standout tracks for me are “Unbroken, Unshaven” (this has to be a reference to the fact that the band used to be called Los Barbudos or “The Bearded Ones”) with its clean strumming leading the song, “Nature’s Wrath” has a great loping circular beat but has the BEST FLUTE SOLO this side of Ray Thomas’ solos in The Moody Blues! In my mind, Mother Nature is PISSED about the BP oil leak and this song is the warning before she tears us a new one! One nice bonus to this album is “Reppirt Yad” which wraps the album up. For Record Store Day this year, Daptone put out a split 7″ of Sharon Jones and the Dap-Kings and The Budos Band. The Budos Band track was an interpretation of The Beatles “Day Tripper.” They seem to have disguised the song with a backwards title for III. To get a free download of “Unbroken, Unshaven” click on this link to sign up for a Daptone Records e-mail list (that they admit you can unsubscribe from). I’ve been on the Daptone e-mail list for a couple of years now and they aren’t abusive and it’s a good way to stay on top of news from this fantastic label. The band is off on an extensive tour in support of III and hopefully they bring their snake charming show to a venue near you! The Time to play b-sides archives for the the-budos-band tag.